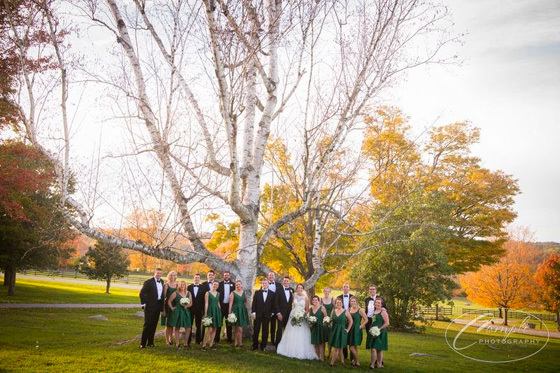 Rich in seasonal foliage and with decorative pumpkins placed throughout, Springton Manor Farm was set to welcome Allie Mongan and Dan Sweeney 220 guests to their wedding reception on Saturday, October 28, 2017. Working closely with our experienced culinary team and creative wedding planners, the Sweeneys brilliantly executed their unique wedding vision. 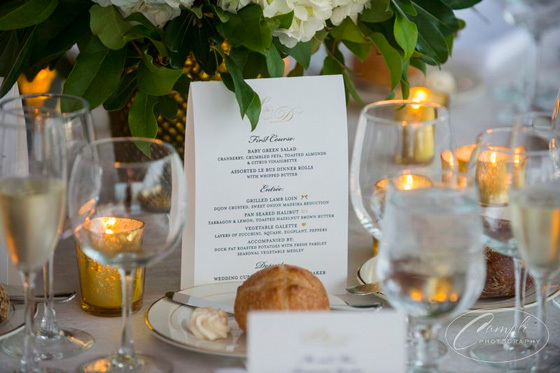 Take a look at the exquisite details and fresh menu that brought the Sweeneys’ wedding dreams to life. 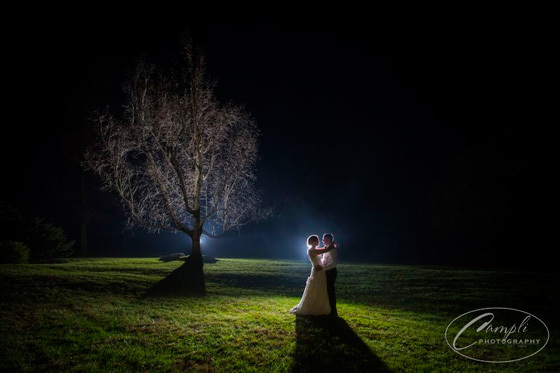 Following a beautiful ceremony in Malvern, Allie and Dan’s guests arrived to Springton Manor Farm and were excited to see that they would get to enjoy the outdoors. The lush lawns and charming gazebo invited them to relax and soak up the surrounding beauty and good company. 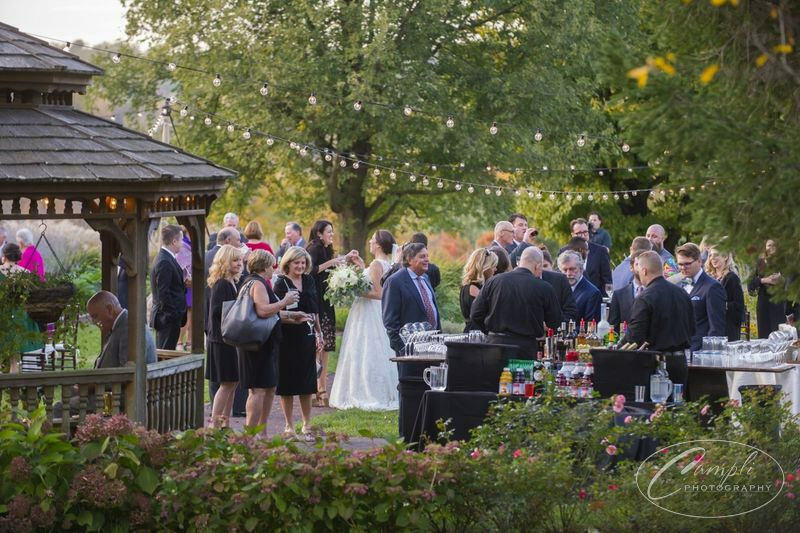 On the meticulously maintained grounds, we set up two local cheese plate stations and a bar. At dinner time, guests headed into the 4000-square-foot outdoor tented structure that is connected to the historic Manor House. Here they took a seat upon mahogany chivari chairs with ivory cushions to enjoy a champagne toast, wine service and baby green salad with cranberry, crumbled feta, toasted almonds and citrus vinaigrette before savoring the delicious plated entrees. Even the kids were quite content—the chicken fingers and fries that our chefs prepared just for them kept the little ones happy! Few could resist the delectable cupcakes and elegant wedding cake from Master’s Bakery that were on display after dinner. The desserts gave guests extra vitality to bring to the dance floor. With the 11-person band playing live, the energy inside the tented structure was phenomenal. And, as the sun set, it only got better. The dynamic lighting inside the tent and fire pits shining bright outside created an atmosphere that cultivated unforgettable memories. 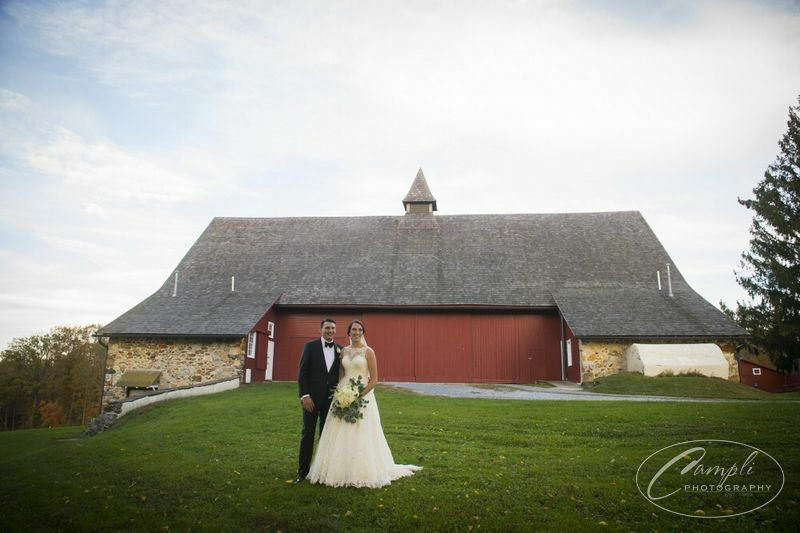 We are so glad Campli Photography could capture the joyous moments Allie and Dan shared with their friends and family, and we hope you are excited to bring your wedding dreams to life in equally unique and beautiful ways. 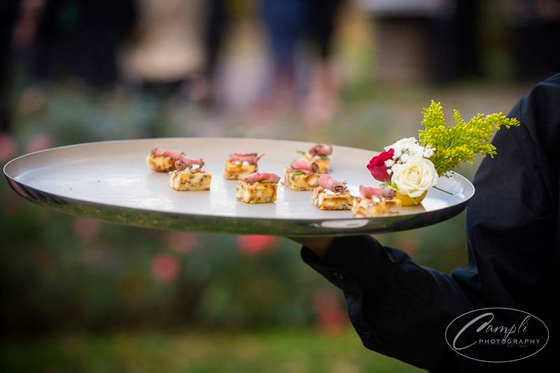 If you want your custom-designed menu and superior service delivered to a top wedding venue, contact our experienced Philadelphia catering team online or give us a call at 610.725.9420.